This makes a simple supper in the aftermath of rich festive food and drink. Great made with the parsnips, potatoes, garlic and chillies from Camel CSA’s Christmas veg boxes. 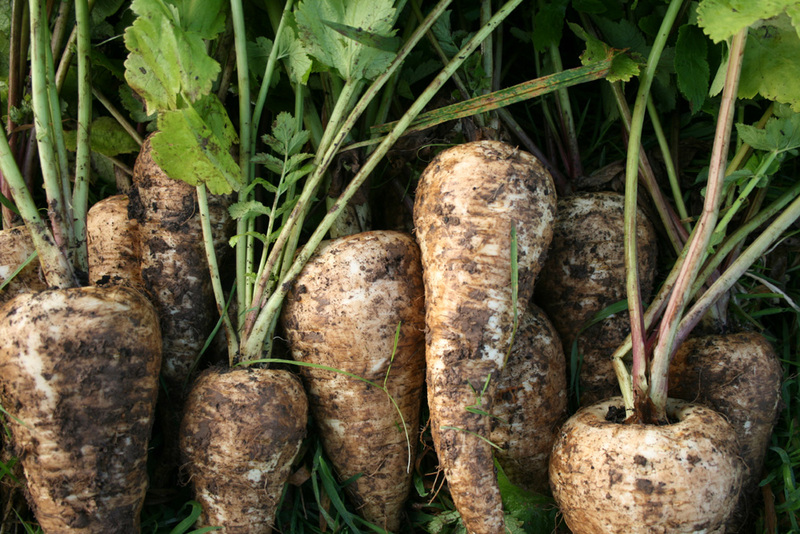 Hugh Fearnley-Whittingstall takes the French to task for not eating parsnips. Parsnips aren’t part of a traditional Scottish diet either (no jokes about deep-fried Mars bars please…) To be honest, I never ate parsnips until I moved from Scotland to England. Scots prefer neeps, but I’m a willing convert. Hugh says: “This is gorgous with simply cooked fish but stands as a dish on its own with a salad and a spoonful of thick yoghurt.” Can’t wait to give it a try. First make the spice mix. Heat the oven to 200C/390F/gas mark 6. Put the coriander seeds and black peppercorns in a dry frying pan and toast over a gentle heat for a few minutes, until fragrant. Tip into a pestle and mortar and leave to cool. Add the chilli flakes, then crush the lot to a coarse powder and mix with the fenugreek, turmeric and salt. Peel the spuds and cut into 3-4cm chunks. Put them in a saucepan, cover with cold water and bring to a rolling boil. Boil for one minute only, then take off the heat and drain well. 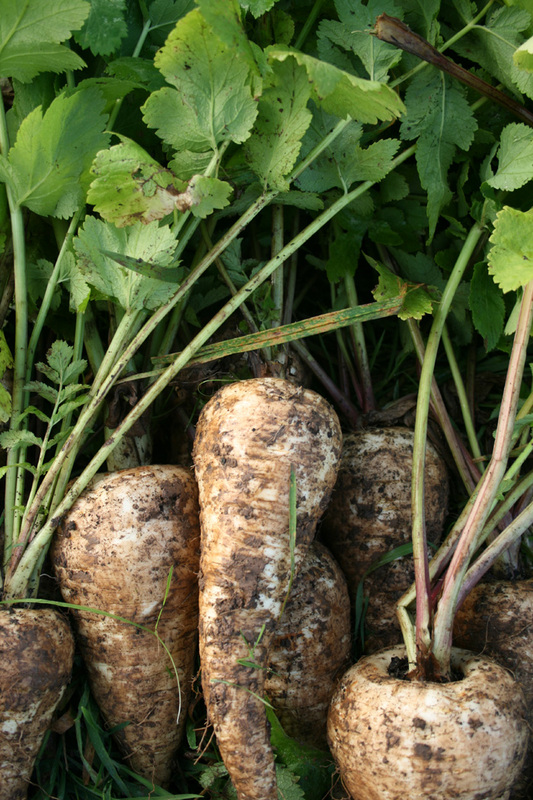 Peel the parsnips, cut into similar sized chunks to the potatoes (remove the core if it seems tough or woody) and add to the potatoes. Pour the oil into a large, shallow roasting dish and heat in the oven for five minutes. Tip the potatoes and parsnips into the hot oil, add the spice mix and toss so the veg get a good coating of spice. Roast for 40 minutes, giving them a stir halfway through, or until golden and crisp. Stir in the garlic and return to the oven for two to three minutes. Serve straight away, with thick, plain yoghurt and perhaps mango chutney. 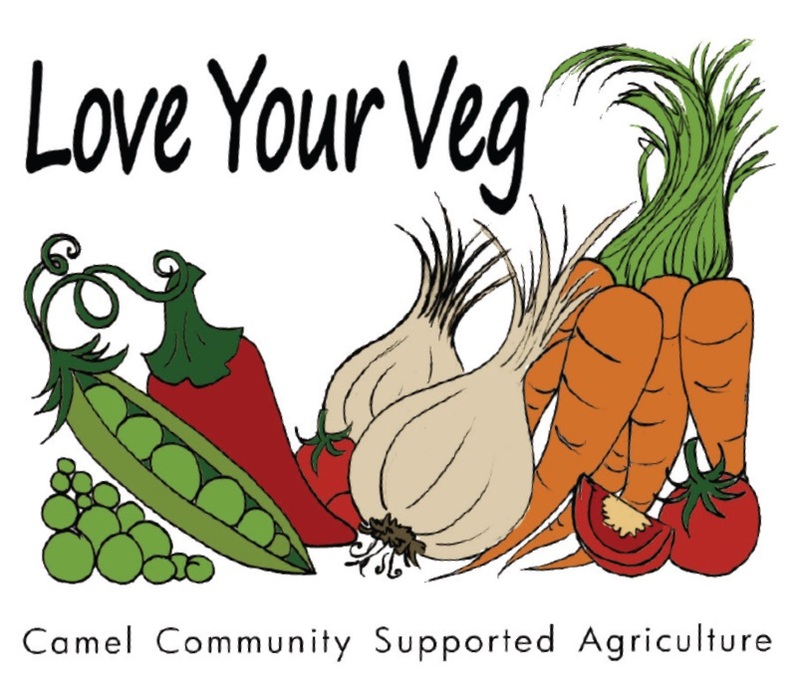 Camel Community Supported Agriculture’s volunteers have harvested the last of the parsnips for the weekly vegetable boxes. Now we’ve dug up all the Jerusalem artichokes as well, there’s only some frost-bitten Swiss chard remaining out of what we grew last year. 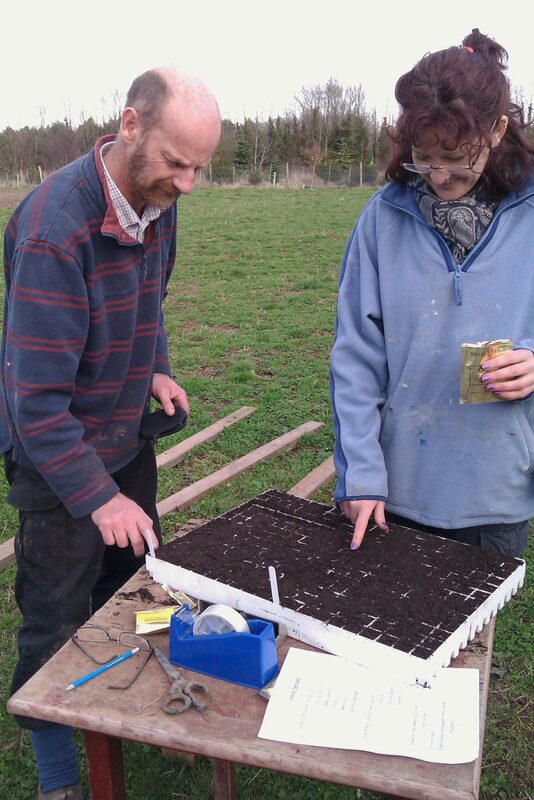 At the same time we’ve planted the first of this season’s seeds in growing modules – spring onions, lettuce, onions and parsley. Nigel Slater (sorry, it’s him again!) describes this as a ‘shallow cake along the lines of a pan haggerty, made with thin slices of root layered with grated cheese and herbs’ (Tender Volume I). He suggests using Cornish Yarg cheese – the one coated with stinging nettle leaves. Set the oven at 200C/Gas 6. Peel the onion and cut into paper-thin rings. Melt half the butter in a shallow ovenproof pan and gently fry the onion till soft and translucent. Stop before it colours. Peel the parsnips and slice in fine discs – ‘so thin you can almost read through them’. Tip the onion out of the pan, place a layer or two of parsnips in it, brush with more melted butter and scatter over salt, pepper, some of the thyme and a little of the cheese. Do this twice more, ending with cheese. Pour over the stock. Cover with lightly buttered greaseproof paper or foil, then place on a high shelf in the oven and bake for 25 to 30 minutes. Remove the paper and test the parsnips with a sharp knife; it should glide in effortlessly. Return to the oven, uncovered, for about ten minutes to brown. Serve straight from the pan. Make the most of this lovely spring weather. 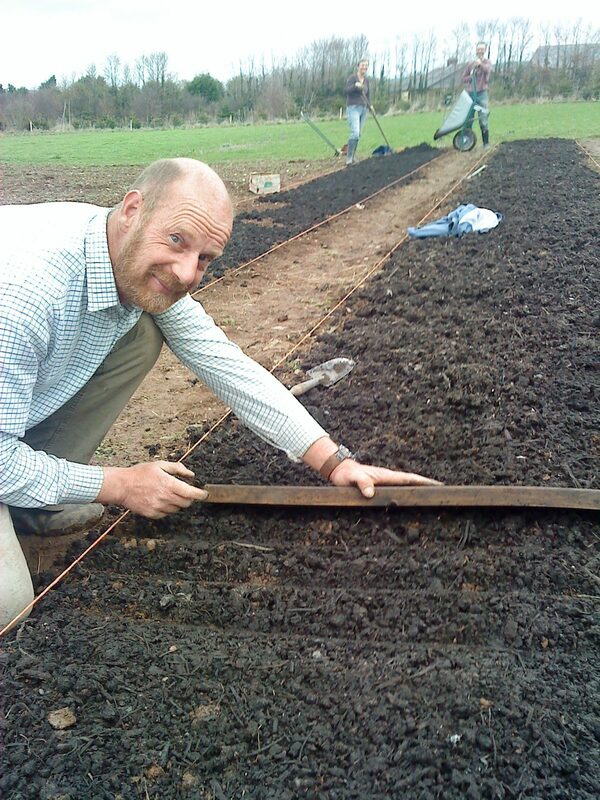 Come and share in the push to get our vegetables in the ground. There’s lots to do. 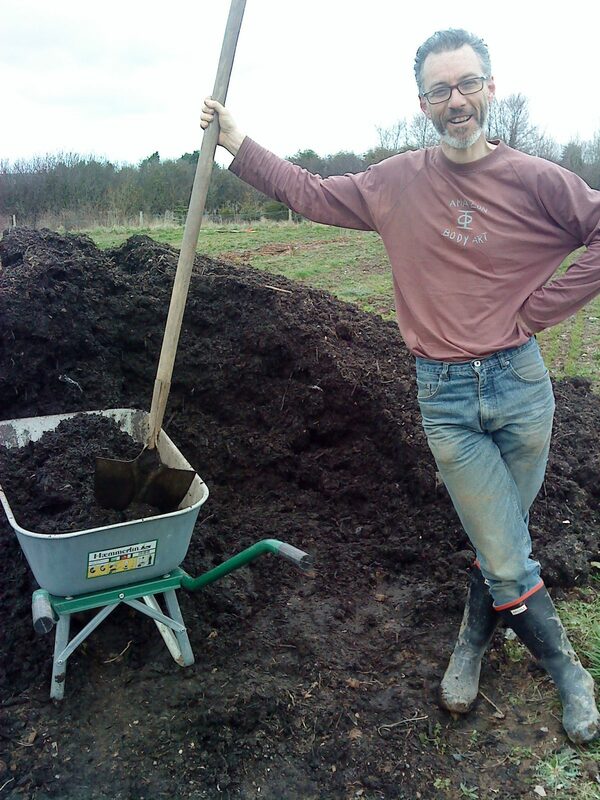 We need plenty of people at our volunteer growing session this Sunday 11 April to prepare some more beds and spread compost. 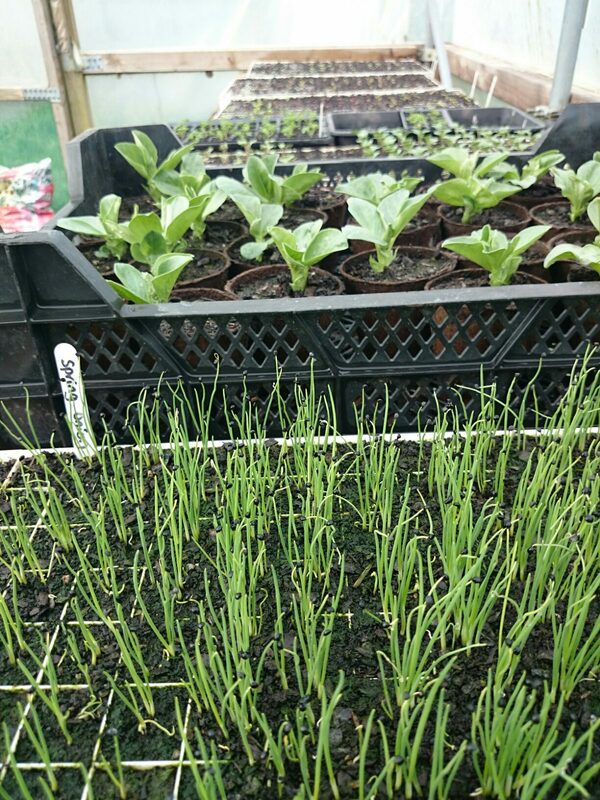 There’s also celery and broad beans to plant out as well as beetroot and parsnip seeds to sow. Please join us between 10am and 1pm on Sunday. 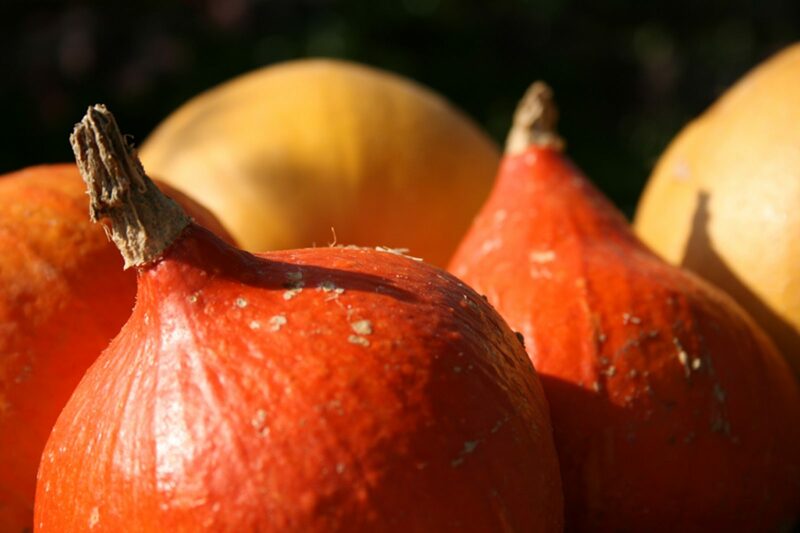 You’ll find us on the plot behind St Kew Harvest Farm Shop. If you can, bring tools – hoes, spades, forks, trowels, rakes, wheelbarrows. 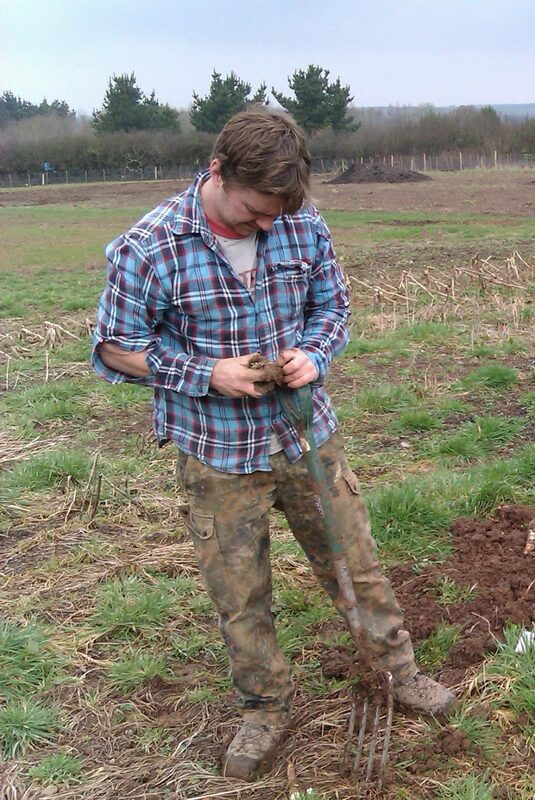 The next volunteer growing session is on Sunday 11 April. We’ve decided to give everyone a rest this Easter Sunday. 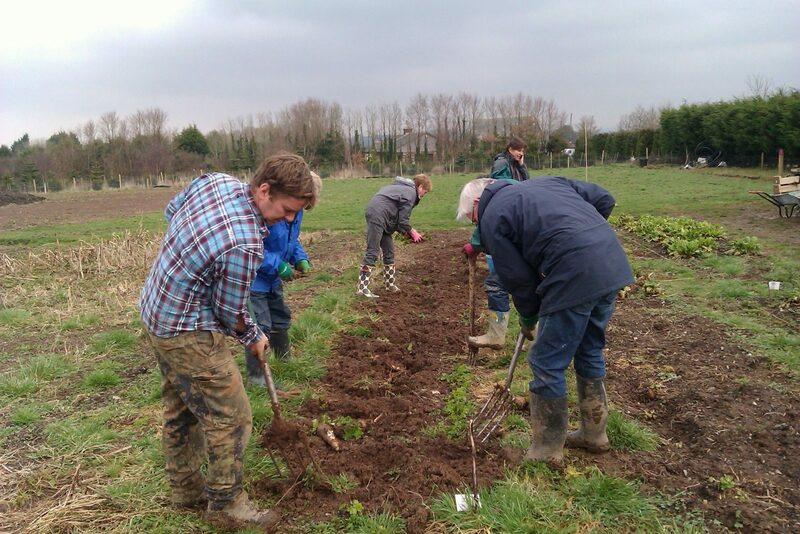 We do need all the help we can get to plant veg at this time of year so please consider coming along for a couple of hours next Sunday between 10am and 12 noon. You’ll be made very welcome. We can guarantee you unlimited fresh air, plenty of exercise and some friendly company… PLUS you’ll come away feeling you’ve achieved something worthwhile. 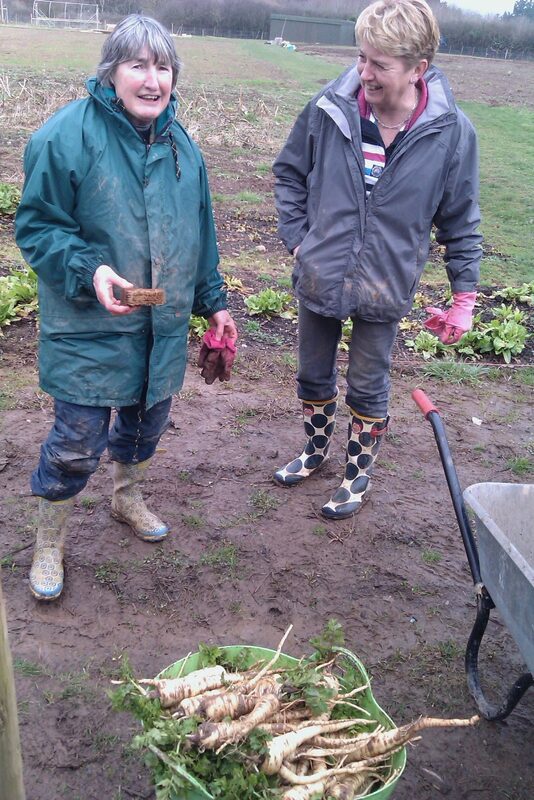 “A small gang of us created a new growing bed, spread compost, and sowed lettuce and beetroot Detroit last week. But we really could have done with some extra assistance. 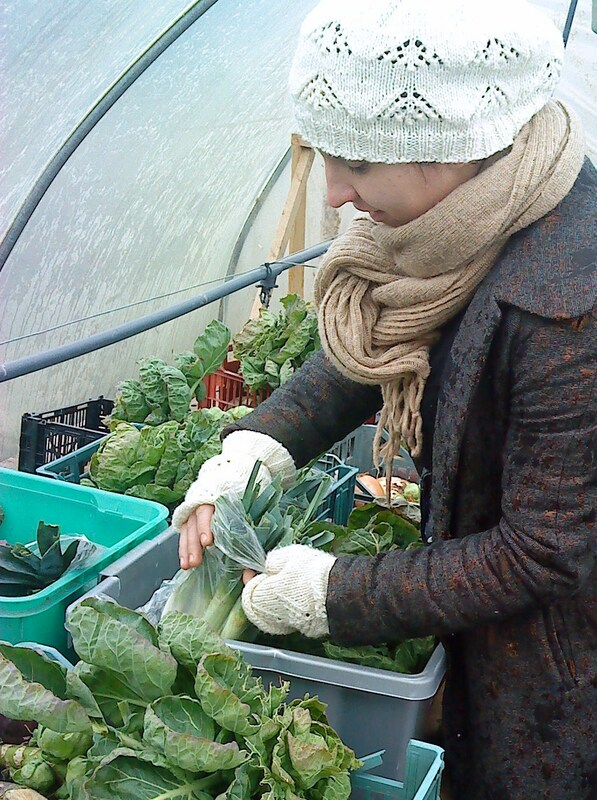 Our picking and packing team prepared a total of 30 seasonal veg boxes for our members this week – an all-time record. Plus the box we’re offering in a prize draw at the St Mabyn Pre-School Valentine Brunch. A further milestone was reached. For the first time, all the contents of the boxes were bought in from other growers. The fact that we’re buying in such a high proportion of the weekly vegetable box contents at this time of year may seem like an admission of defeat. But this is far from the case. 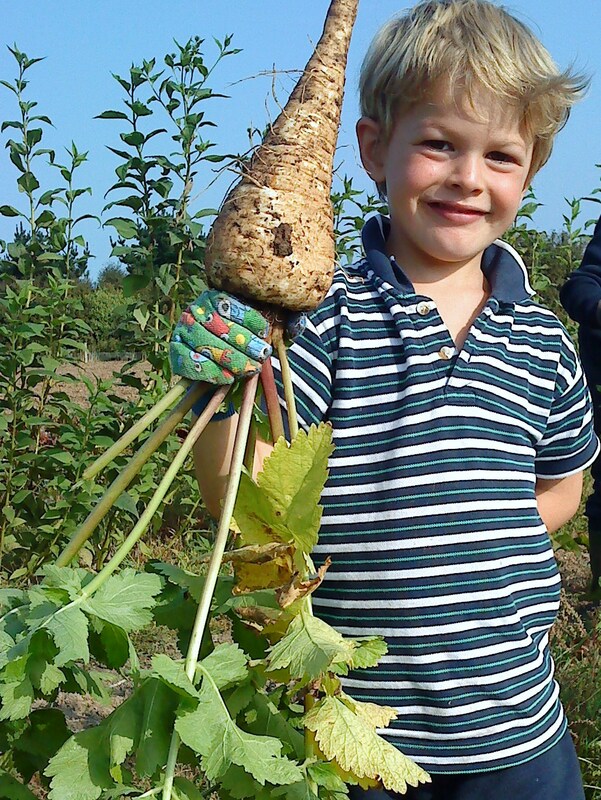 In the UK, community supported agriculture comes in many different shapes and sizes. There’s no “right” or “wrong” way of doing it. As a not-for-profit organisation we rely totally at present on the goodwill of our members, who make up our volunteer workforce. This will change as we expand and if we are successful in our funding bids to the Lottery and the Local Action Group. As we’re working on less than two acres, we’re not in a position to grow large-scale main crops which need constant rotation like potatoes and winter brassicas. Instead we are concentrating on “high-value” seasonal crops which would be either too expensive to buy in or do not travel well. As a CSA, we’re committed to building up partnerships between farmers and the local community, enabling farmers to sell direct to the public, and providing other mutual benefits. 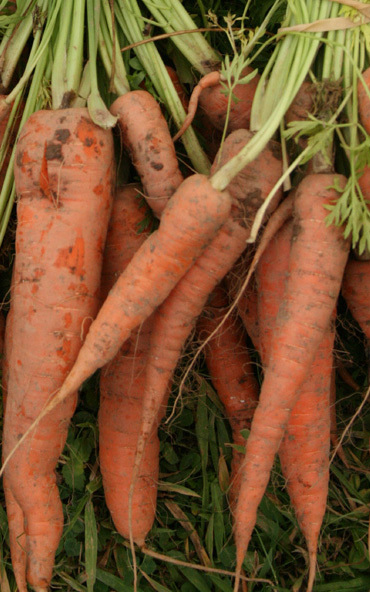 So that’s why we’re happy to include varying proportions of vegetables in our boxes from small-scale, local growers. The Camel CSA approach is very much community-led. It’s organised democratically. Every member has a say in how our project is run. The core management group is responsible for all the main decisions. 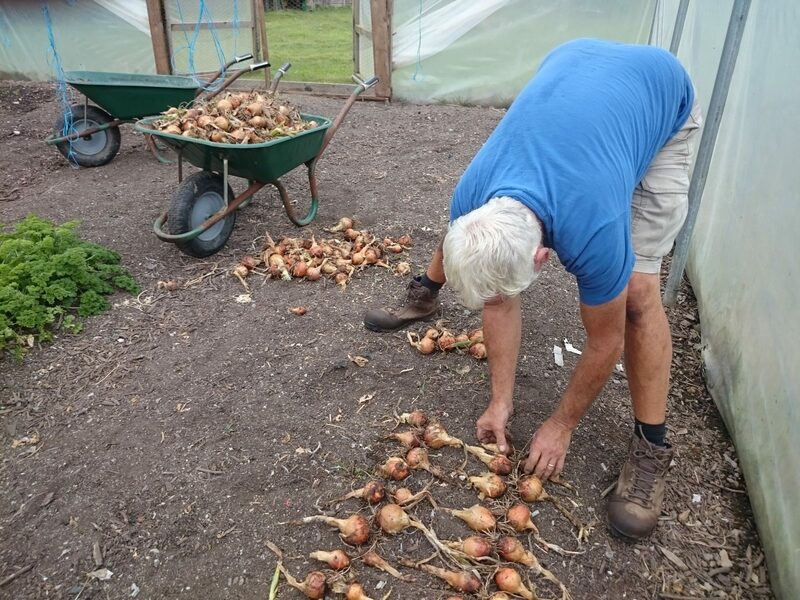 Under the guidance of our three volunteer expert growers, it works out what to grow, how we grow it, what goes in the boxes, what we charge our members and who should supply us. All our own onions and shallots – in store since last summer – have been used up at long last. The remaining parsnips, artichokes and carrots are again well and truly frozen into the ground. So the carrots, curly kale, onions, purple sprouting broccoli, swede and Brussels sprouts (complete with sprout top!) 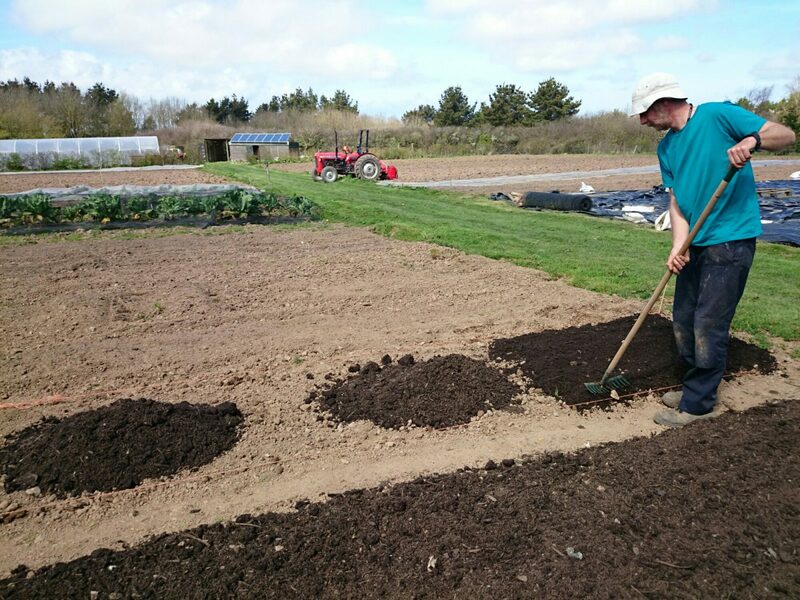 in this week’s boxes come from Richard Hore at Rest Harrow Farm, Trebetherick. Richard and his family, who cultivate 30 acres close to the relatively mild climes of the Camel estuary, have done us proud this winter. The winter salad bag was supplied by Jeremy Brown, one of Camel CSA’s expert growers. 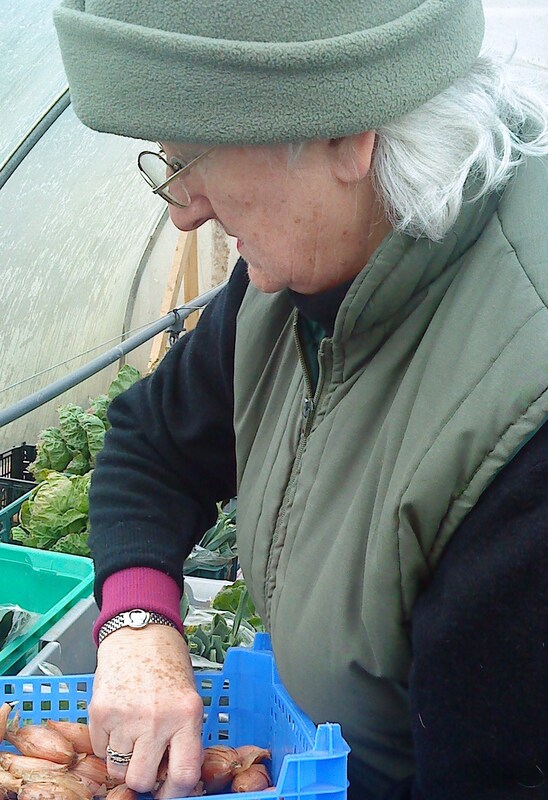 It contains a selection of baby leaves such as pak choi, watercress, mustard, rocket and spinach from his polytunnels behind St Kew Harvest Farm Shop at St Kew Highway. 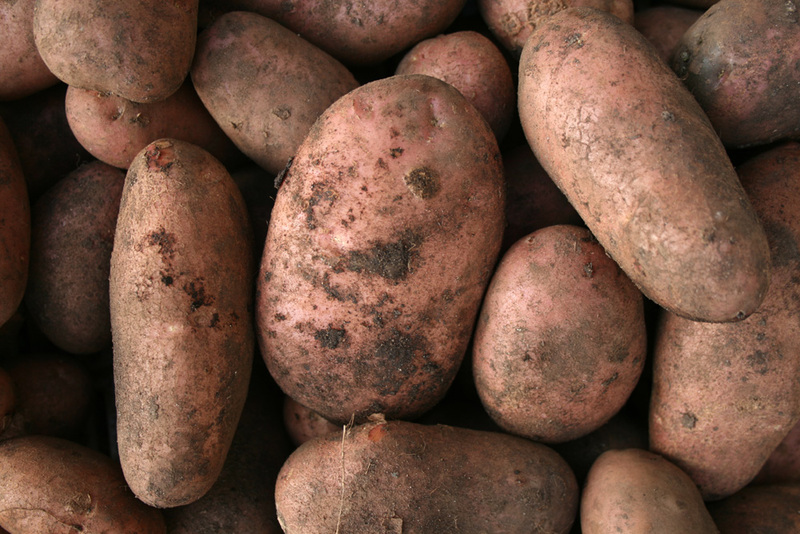 The potatoes were grown by Colin and James Mutton of Burlerrow Farm, St Mabyn.